The proviverrines from the Ypresian (MP7–MP10) and Lutetian (MP11–MP14) are represented mainly by species recorded in the northern and central parts of Europe (Paris Basin, Belgian Basin, Germany, Switzerland). 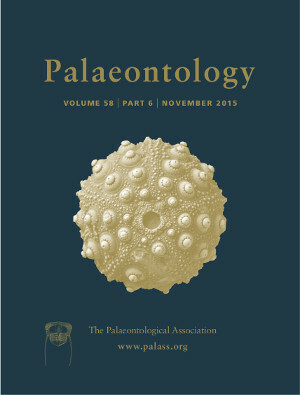 Here, we describe fossils from southern France: Saint‐Papoul (MP8 + 9; Aude) and Aigues‐Vives 2 (?MP13; Aude). One dentary with secant molars from Saint‐Papoul represents a new genus and species, Preregidens langebadrae. This taxon is possibly present in Avenay (France), the MP8 + 9 reference locality. One of the three dentaries discovered in Aigues‐Vives 2 belongs to the hypercarnivorous Oxyaenoides schlosseri, previously represented by only two isolated lower molars. This dentary appears to be the most derived of the proviverrines. This species is possibly present in Saint‐Martin‐de‐Londres (France), a locality that is considered to be close to the MP13 reference level. The two other dentaries from Aigues‐Vives 2 support the presence of Eurotherium theriodis and provide the first possible evidence of sexual dimorphism in a proviverrine species. A phylogenetic analysis of the proviverrines is performed to resolve the phylogenetic position of the three taxa. This identifies a close relationship between the new genus (Preregidens) and Oxyaenoides. The new fossils allow the age of Saint‐Papoul and Aigues‐Vives 2 to be refined: the first locality is considered to be close in age to Avenay (Ypresian; France), while the second one seems to be close to Egerkingen γ (Lutetian; Switzerland), which is considered to be possibly close in age to the MP13 reference level. Finally, the presence of O. schlosseri and E. theriodis in the southern part of France is compatible with the hypothesis that the mammals involved in the first intra‐Eocene turnover migrated northwards.